We had such a wonderful evening Sunday at our Concert & Celebration honoring 20 Years of TAP! The night started with a fabulous concert of "Bluegrass Served Up Family Style" by Debbie Anderson, her brothers & friends. We carried over the evening with a reception (made possible by countless volunteers, including St. Thomas Episcopal Church, who provided staff & food to help us out!). We unveiled a TAP Video produced by Columbus State University (which we'll be posting soon), and our 2015 TAP Unity Piece. Enough talking, though! 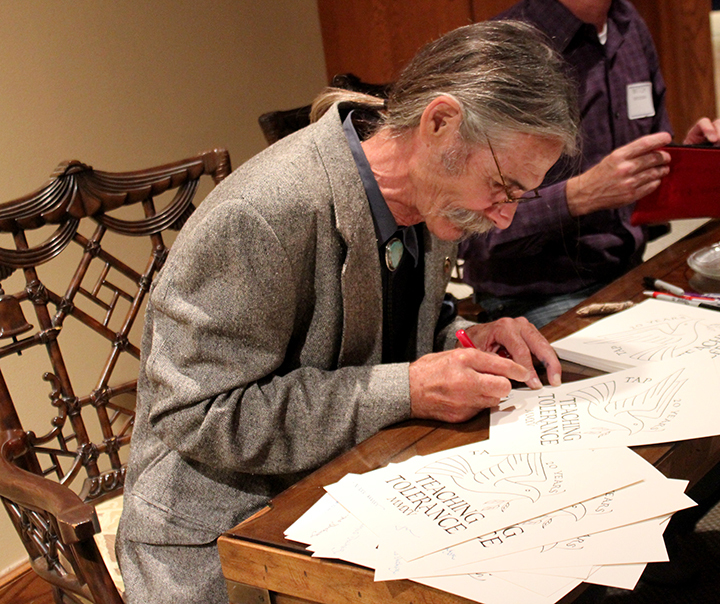 We have plenty of words to say, but we'll let these event photos say the rest! Every year, our fabulous TAPPERs adopt a critter for the week. Typically, these animals come from Oxbow Meadows, but for the first time, we partnered with Begin Again Farms. Begin Again Farms is a wonderful farm in Ellerslie devoted to the care and rehabilitation of abused and needy horses. The kids (and let's be honest, adults), loved these sweet little miniature horses! Such a fun experience to partner with this wonderful nonprofit, which you can learn all about here. Debbie has been our fabulous, amazing, too many good adjectives to name here TAP Director for the last 14 years. To say we love her is a huge understatement. But to see her working alongside her husband Ron, who has undergone some serious battles with cancer in the last year, just makes us smile. On the first day of TAP, Ron brought some of his theater expertise to the group, teaching them miming & salutations that the kiddos performed all through the week. What a dynamic duo these Andersons are! TAP simply does not happen without the work of many different co-planners and religious leaders, but every year, we have one Spiritual Director. For the last several, Father Jeff Jackson has been our fabulous leader, but with he and his family on sabbatical, we had Imam Abdul-Raheem Hasan from the Muslim faith community take the reigns of Taplain this year solo (though it's not his first year in TAP). He's been an amazing part of the co-planning, but might we add how amazing he did especially as our fearless spiritual leader this year! Just one of the things he taught us: We are more alike than we are different! Jeremy Mack is just one of our CVEM all-stars. He was a member of Infusion and helped with TAP as a teen mentor. 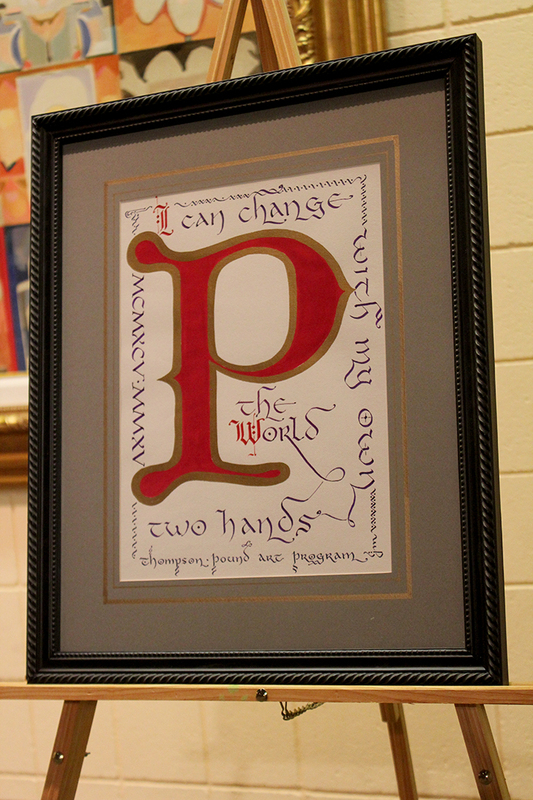 This year, the college sophomore, was a lead teacher in the Snack Room and guided the peace poems and rituals. We love to see someone so committed to TAP & the kids clearly felt the same way! 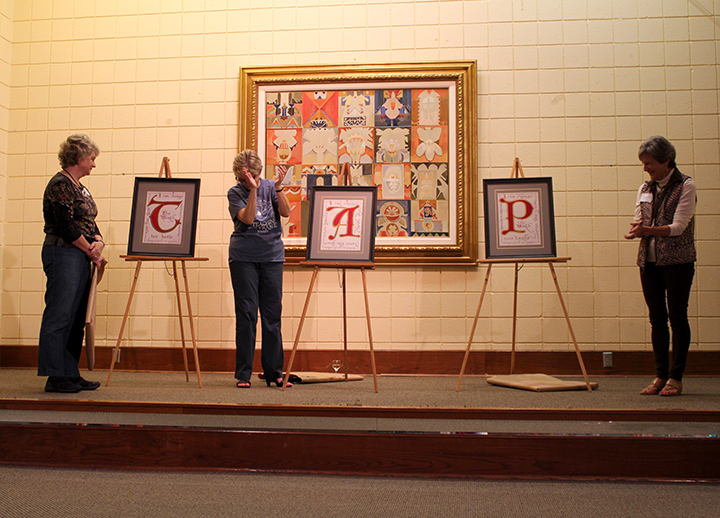 Barbara Danner (the co-founder of TAP all those years ago), stopped us in our tracks at Thursday night's celebration. When she got up to speak, she asked everyone to place their hands over their hearts and remember the victims of the Mother Emmanuel Charleston, SC shooting. She reminded us of the contrast of hate displayed in that act with the love in TAP. Though TAP only reaches 60 kids and 20 teens at a time, they will forever go on to change the world in a positive way. TAP wouldn't be complete without a Unity Piece. This year's piece was a quilt. Each of the participants designed their own square of the quilt, and they will be woven together to make a beautiful piece to be displayed somewhere (we think we know where but can't say for sure yet) around town! This brings us back to our first point. 20 years of TAP is just too amazing of a feat to not mention. That's 20 years of promoting unity in place of division. 20 years of peacemaking rather than hate. 20 years of tolerance, acceptance and even love of differences. That's more than thousands of people who have been directly impacted by TAP, and we can't even begin to count how big that wave goes. Here's to 20 more years, and then 20 more after that!